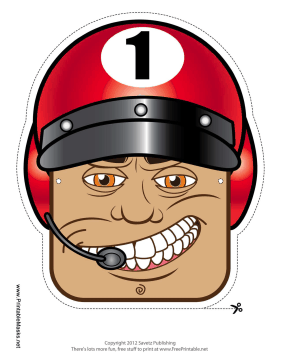 This male racecar driver mask has a sideways grin, a black visor, and a red helmet. His number, one, is on his big helmet. This mask is free to download and print.